The World Ambassadors Meeting and Working Lunch on Tourism and Hospitality has taken place on 9th of February 2016 at the world tourism institution headquarters of European Council on Tourism and Trade. 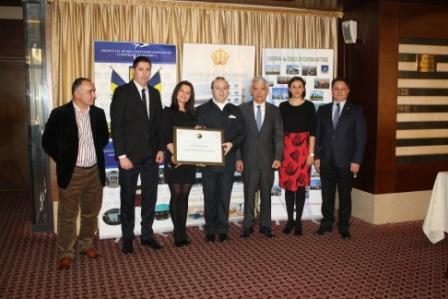 European Council on Tourism and Trade President-Dr. Anton Caragea receives accredited ambassadors for World Ambassadors Meeting and Working Lunch on 9 February 2016. The first ambassadorial meeting on tourism reunited European members states parliamentarians, representatives of European tourism organizations and members of the diplomatic corps. The World Ambassadors Working Lunch on Tourism was generously hosted by theEuropean Council on Tourism and Trade (ECTT)and has benefited the presence of the ECTT President, Professor Dr. Anton Caragea. Bolivarian Ambassador is expresing his gratitude towards European Council on Tourism and Trade role as a leading world tourism institution (from left to right). The Diplomatic corps gathering, is taken place on an annual basis and is representing a great opportunity for networking and also for keeping the Embassies informed on what theWorld Lectures on Sustainable Development Goals Programs of European Tourism Academywill try to achieve during the year and also to provide an outlook for the coming year 2016 in terms of tourism in Europe and the world. The event received a very high representation of accredited diplomatic corps, parliament representatives, European Tourism Academy, European Council on Tourism and Trade. 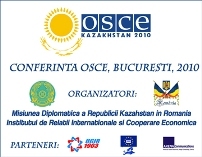 On this occasion Professor Dr. Anton Caragea had officially entrusted insignias and diplomas for the representative of the hospitality industry of Europe and recognized ROYAL HOTELS in Bucharest and Constanta as official diplomatic partners and entrusted the HIGH QUALITY PRIZES for the two hotels. Other points of discussions included an update on International and European Tourism trends in 2015 and a presentation of a list of most successfully tourism driven economies in the last year (Ethiopia, Laos) and the latest publications emanating from European Tourism Academy members. Academician Walter Mzembi-Minister of Tourism of Zimbabwe took the limelight, with his articles and interviews series on combating tourism and mass media manipulation in tourism industry. Ambassadors from United Arab Emirates, Iraq, Syria, Macedonia, Albania, South Africa, Venezuela, Nigeria, Danemark, Sweden had taken the floor highlighting their countries plans for tourism development and hopes pinned on winning World Best Tourist Destination Award or World Capital of Culture and Tourism designations. 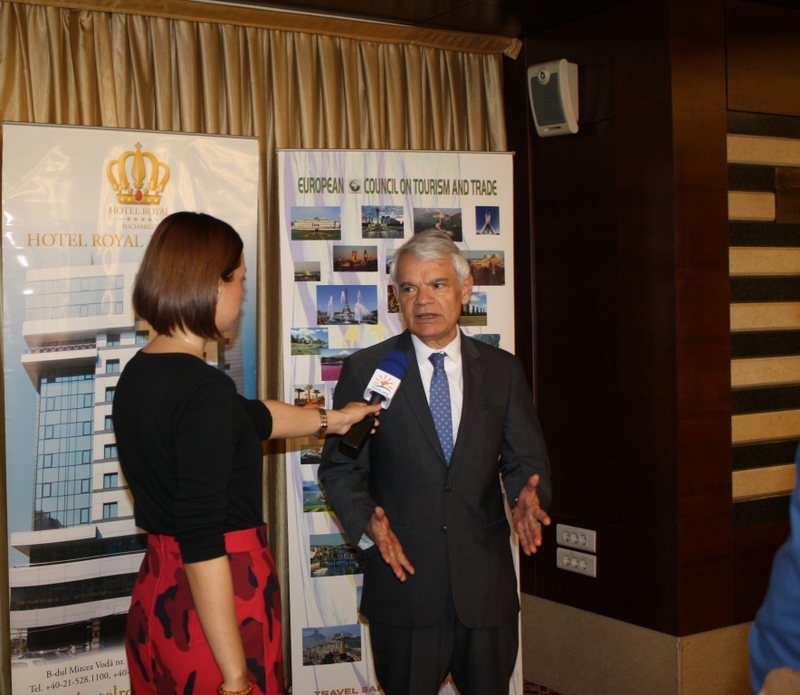 The names of the ambassadors who will be invited for Spring 2016 DISCOVER EUROPE PROGRAM will be announced in March 2016 and the trip will start in April and will showcase Republic of Moldavia beauties announcedEuropean Council on Tourism and Trade President, Dr. Anton Caragea. The meeting concluded with an introduction of the main activities of the diplomatic calendar for the first quarter of 2016, a presentation on the upcoming February 2016 Tourism Fair and International food and Beverage Exhibition-Goodwine April 2016. 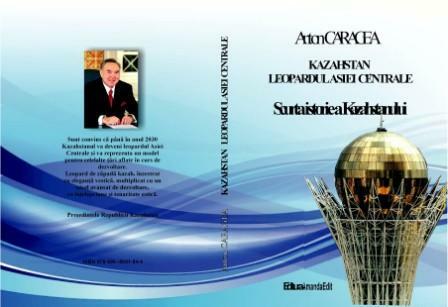 Tajikistan: cradle of civilization by Professor Anton Caragea MA, FINS , DR.H.C. Between 25 November to 2 December 2013 H.E. Professor Dr. Anton Caragea was invited for an official working visit to United Arab Emirates on the occasion of the 42 anniversary of UAE National Day. H.E. Professor Dr. Anton Caragea was congratulated for his instrumental role in promoting Dubai candidature for World Expo 2020. 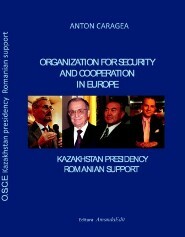 Between 4 to 11 May 2013 an european delegation, under the leadership of H.E. Professor Dr. Anton Caragea was invited for a working visit in People`s Democratic Republic of Laos by H.E. Thongsing Thammavong -Prime Minister of Laos. CAMBODIA-THE LAND OF MAGIC- THE PLACE WHERE GOD`S AND KINGS BUILD THE WORLD!